Australian Open runner-up Petra Kvitova has been given a rousing ovation during her post-match speech after she took the time to discuss her return from a devastating hand injury. After winning two Wimbledon titles in 2011 and 2014, Kvitova's career took a major hit after an attack during a home invasion in 2016 left her with multiple lacerations to the tendons and nerves on her left hand. The 28-year-old was overcome with emotion when thanking her team for sticking with her through the entire ordeal after her 6-7 7-5 4-6 loss to Naomi Osaka. "To my team, thank you for everything," she said. "But mostly thank you for sticking with me even though we didn't know if I would be able to hold a racquet again. "You were there every single day supporting me and staying positive for me which I really needed. It probably wasn't very easy so thank you very much." 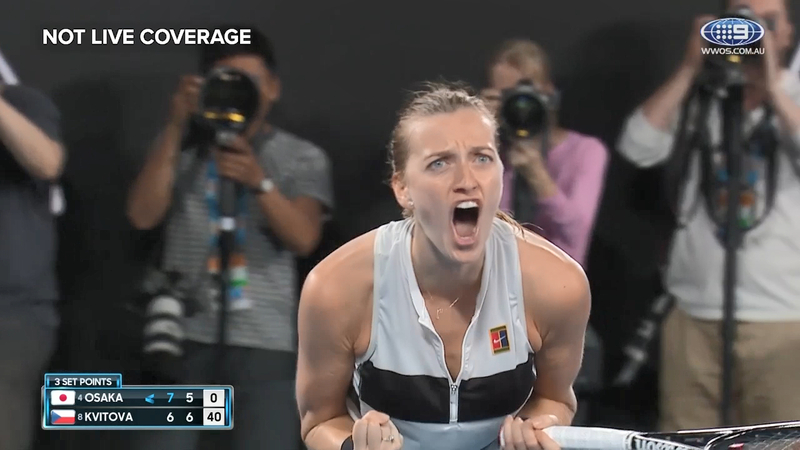 Kvitova's appearance in the final was the furthest she had advanced in a Grand Slam arena since the attack, and she was left in disbelief after the result. "It's crazy, I cannot believe that I just played in the final of a Grand Slam again so thank you," she said. "It was a great final, well done Naomi. To her team as well, she really played well, congratulations on being world number one."